This Institute of Physics e-journal was initiated in 2010 by the conference organising committe during a meeting in Halmstad, Sweden, and is a natural place for spreading the message of surface topography and metrology associated research. STMP now indexed in Scopus and a special issue on the Gothenburg conference is published. Papers will be selected by the organising committe to be sumitted to the special issue and published after the reviewing process. 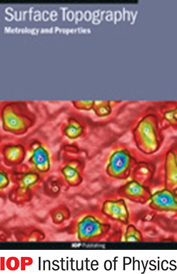 The journal covers the modelling, design and characterisation of modified surfaces and the structure–function relationship between the surfaces properties and their application. 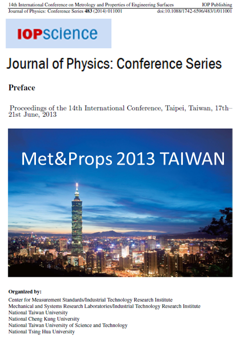 Following up on the tradition from Met&Props2013 in Taipe, Taiwan submitted papers (not published in STMP) will be collected in the OPEN access IOP Journal of Physics: Conference series. Papers presented in the journals are all reviewed by the international scientific committee and guarantee a high stsndard and referencable publication of orally- and poster presented papers. The open access IOP Conference Series provides a fast, and versatile proceedings publication service conferences. Key publishing subject areas include: physics, materials science, environmental science, bioscience, engineering, computational science and mathematics. Journal of Physics Conference Series (JPCS) is Abstracted in: Conference Proceedings Citation Index – Science (CPCI-S) (Thomson Reuters, Web of Science), Compendex, Scopus, Inspec, Chemical Abstracts Service. INIS (International Nuclear Information System), NASA Astrophysics Data System, SPIRES, VINITI Abstracts, Journal (Referativnyi Zhurnal.